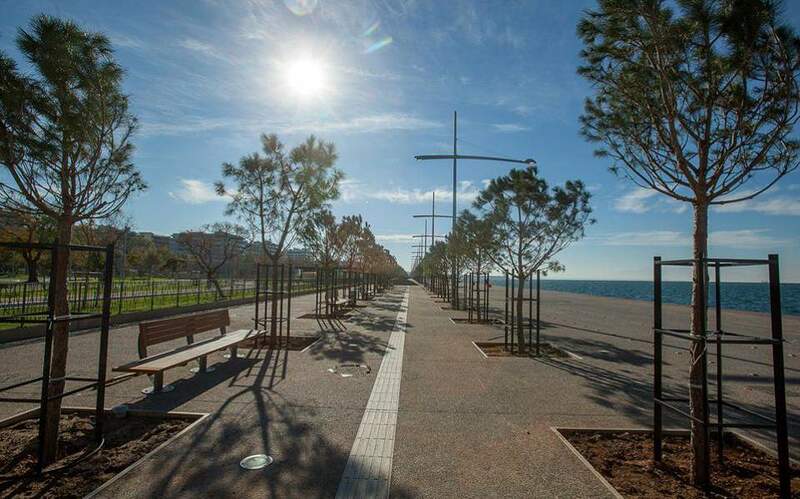 Sheets of bronze weighing 3.5 tons that covered an overflow channel for the waterfall at Thessaloniki’s seafront Water Garden have reportedly vanished, local news reports said on Thursday. According to Thanasis Pappas, the deputy mayor responsible for technical works and the environment, the theft likely occurred on Tuesday or Wednesday night. He added that it was the latest incident in which the Nea Paralia area has been targeted by thieves and vandals. “I want to denounce the asymmetrical war that is taking place in Nea Paralia with the constant vandalism and theft of urban equipment,” he said and called on relevant local bodies to join in the effort to stamp out the phenomenon which has plagued the area. The robbery was, reportedly, most likely committed by several people as the process of removing and loading the bronze sheets would have been difficult and time-consuming.